Ah, sweet nostalgia! This book is a throwback to a simpler and often more elegant time. Dover Publications has put together a collection (or ‘treasury’) of stories, poems, and illustrations from the turn of the century. Clement Moore’s “The Night Before Christmas” is a perennial classic and would be obvious if it were missing, but the inclusion of lesser-known works makes this a gem. Our bookstores and bookshelves are over-flowing with modern holiday reads, most of which don’t satisfy but exist because someone (many someones) is hoping to cash in on the festivities. But these older tales stand the test of time because they tell us interesting or important stories. My favorite is “How Santa Filled the Christmas Stockings” in which a greedy young boy learns a hard lesson. This Victorian-era art is elegant and charming. Who can’t look at the picture of a warmly-wrapped child riding the back of a Polar bear with a sky filled with both a bright sun and a colorful aurora and not be charmed? This isn’t necessarily the sort of holiday book that my children would choose to read, but it IS the sort of book that my children would enjoy having me read to them at bedtime around the holidays! Looking for a good book? 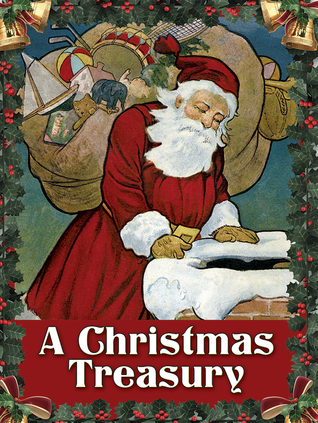 This is a simple and elegant, turn-of-the-century sampler of holiday stories that is likely to be a treasured book for families that enjoy celebrating Christmas.